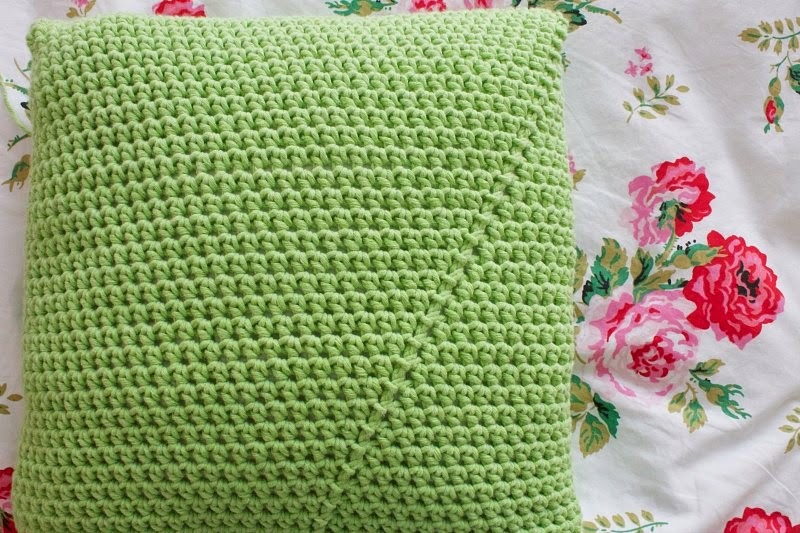 I've been meaning to suss out a way to crochet a cushion cover in one piece for ages now. It's not rocket science I know and there are far more important issues in the world that deserve attention but it was just one of those little projects that lurked around in the back of my mind. You know, that section marked 'must do one day'. 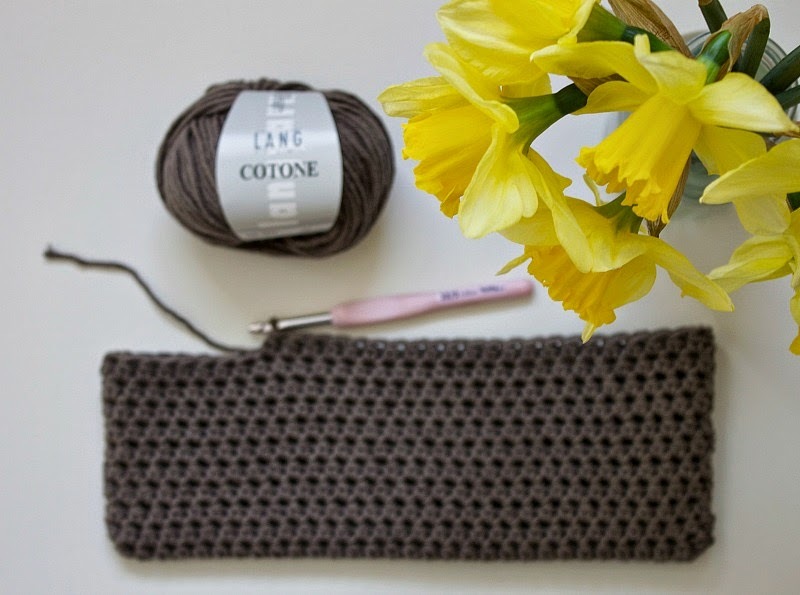 Well, a few weeks ago, I was walking past a little gift shop and there, sitting in the window, was a soft grey chunky knitted (plain garter stitch I think) cushion. It was quite beautiful in its simplicity. I took a few steps backwards and admired it for a short while. I then noticed the price tag. It said £40. "I could make one just as nice for half the price!" Funny how quickly you can go off something, isn't it? So, not only had I decided that I was going to make my own version of the overpriced cushion, I knew exactly which yarn I would use too. You see, I'd previously purchased a few balls of Lang Cotone Chunky from my local yarn shop in the most glorious spring green and they were still sitting untouched, patiently waiting for the day when their fate would be determined. 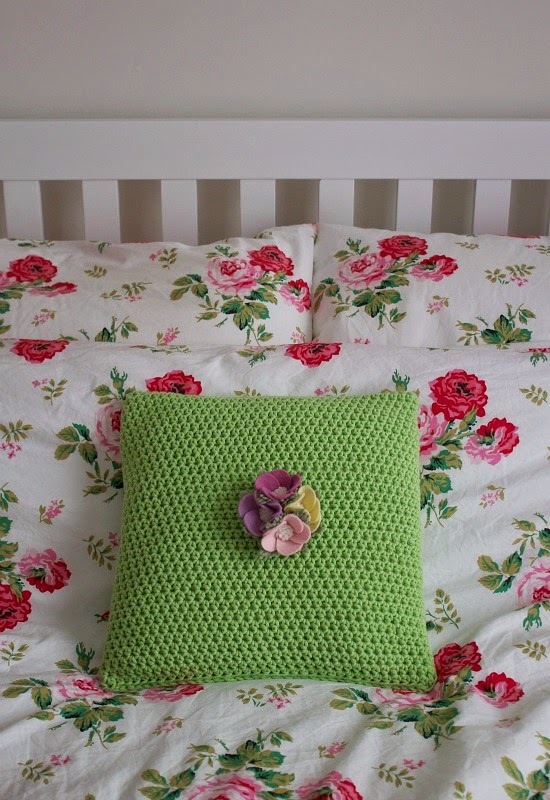 It didn't take me long to work out how to create my cushion cover in one piece. Well I did say it wasn't rocket science, didn't I? Pretty nifty nonetheless and I did afford myself a quick visit to smugland. Handmade and, if you ask me, every bit as nice as anything one can buy in a gift shop. And all for the princely sum of £14. 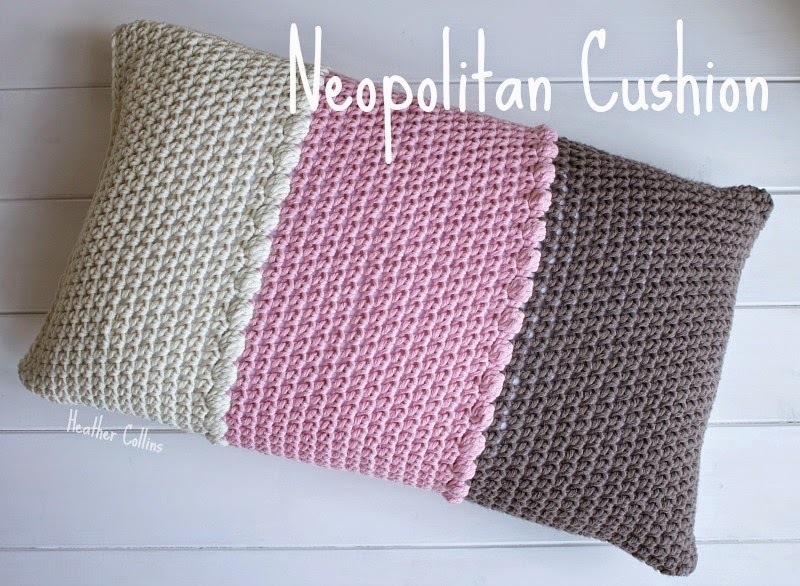 I'm going to pop the pattern for my Neopolitan Cushion in my Etsy shop in the next week or so if you'd like to make your own. I'm just running a little giveaway on my Facebook page first, which you're more than welcome to join if you fancy the chance of winning this little lot. A copy of my pattern will be included too. So there we have it. You can keep your machine-made £40 cushions. I'd far rather have these two and still have plenty of change for an ice cream. Ooooh I'm so with you on that. 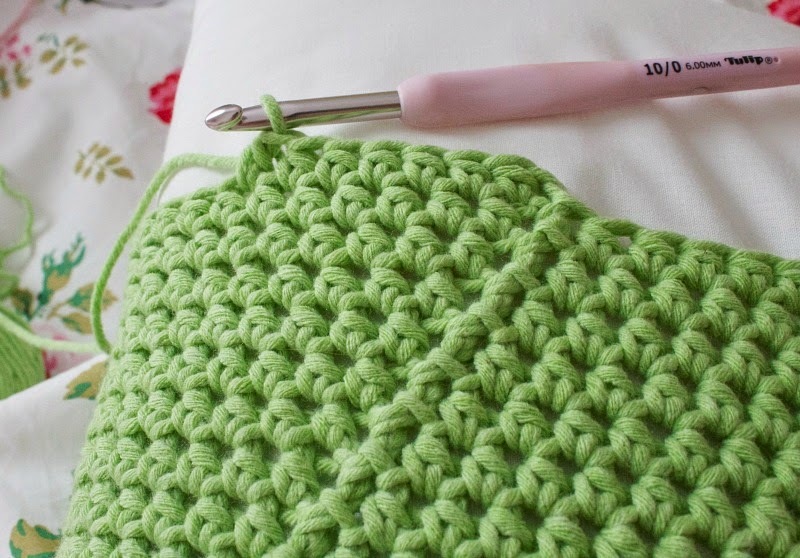 My only reason to learn to crochet was to make a granny squares blanket. 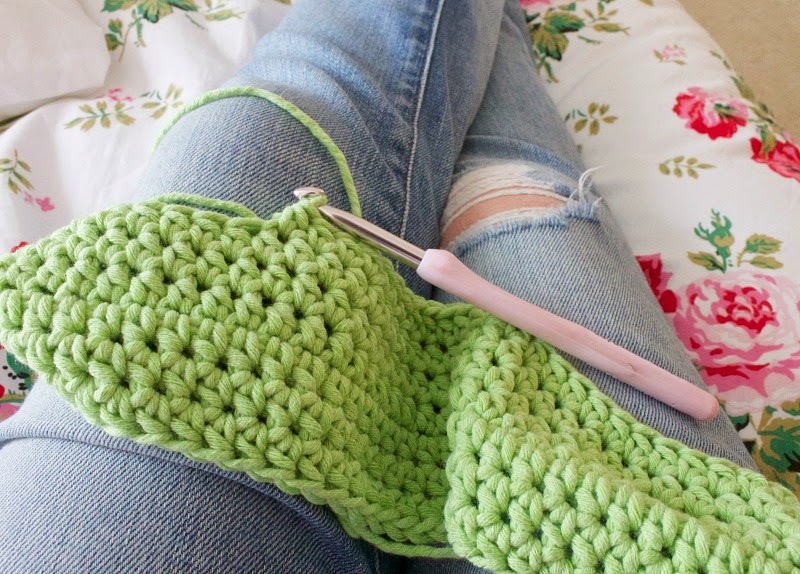 I'd seen one in Cath Kidston for a price that I couldn't afford and thought I'd learn crochet, just to make one for a fraction of the cost. Well, I can safely say that I've spent far more on yarn than I ever thought I would before I learnt to crochet. It's an addictive business isn't it?!!!!!! Oh, but the satisfaction of making something you'd pay a fortune for in a shop that's just a good, if not better.....well you can't beat that can you! Gorgeous cushions. I have 4 cushion inners waiting patiently for me to do something with, but I keep changing my mind about what to make. My sofa is getting annoyed at me as we need them! 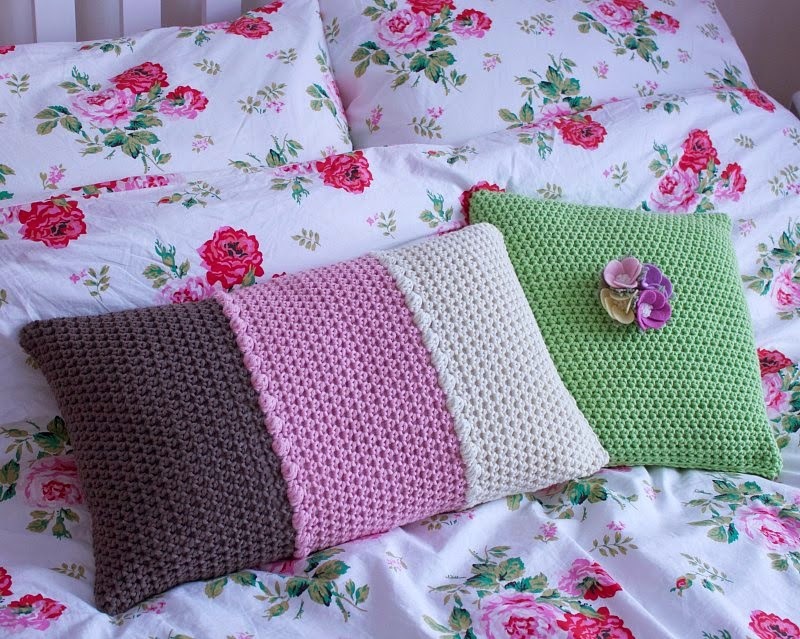 your crochet cushions are wonderful and they look so accurately made. Lovely! Beautiful Beautiful Beautiful, you are just so clever lovely lady, Oh, and btw ..... I find myself saying that often too! Great post Heather! 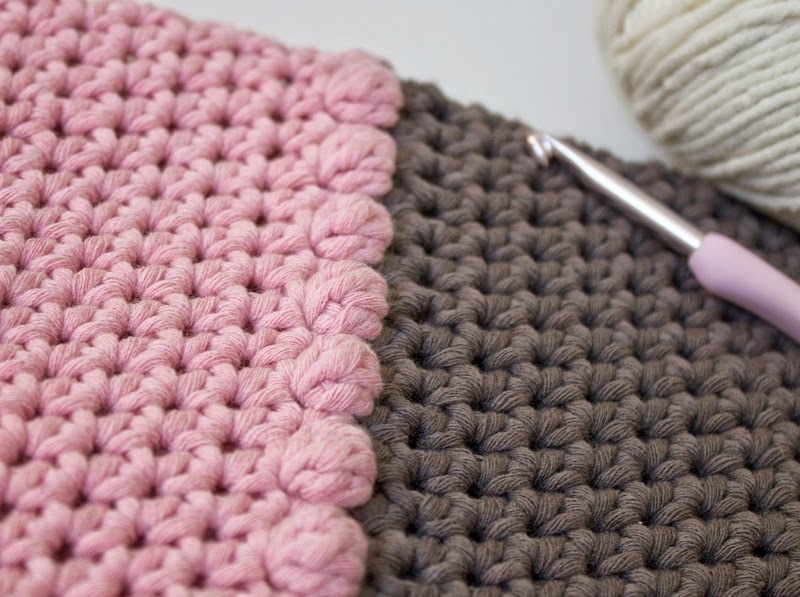 I adore chunky yarn and your cushions as well! 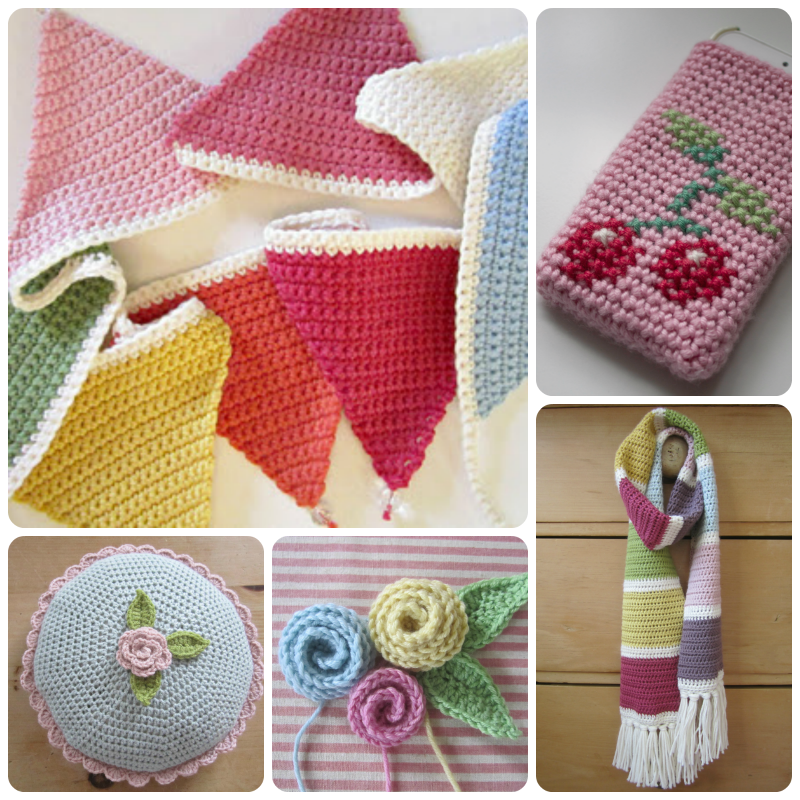 It's a great satisfaction to make something beautiful by yourself::and save money! have a great week end! I'm with you on this one. Why pay big bucks for something machine made when you can make it yourself... Maybe not always for half the price but at least with so much more love added in every stitch. That is what makes a difference. On the other hand I don't mind paying lots for something handmade. Hate it when I see people give away handmade stuff for cheap... We need a balance. Be proud of your workmanship. Charge for it or it will hurt the whole industry. Love your pillows. And why not chose a Neopolitan mix of ice cream - Strawberry, vanilla and chocolate never goes wrong. 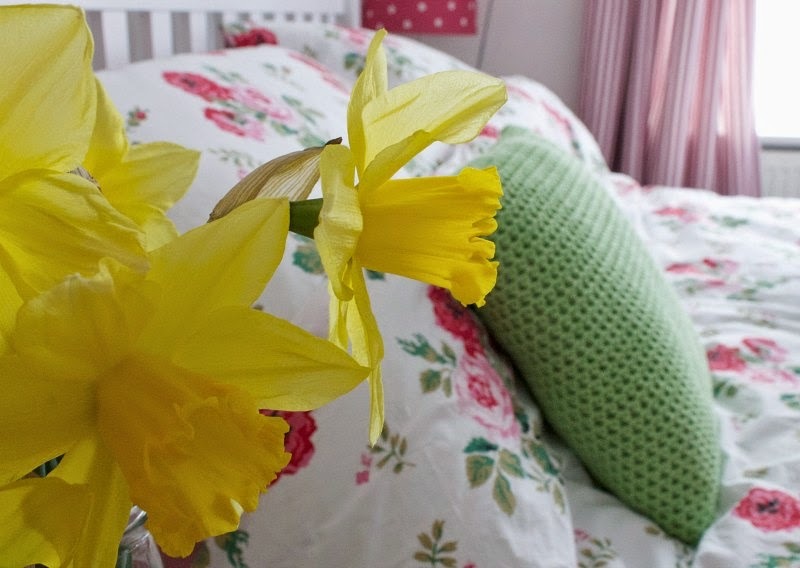 My favourite is the green one because of the pretty flower!Also where is your bedlinen from please it's just my cup of tea! Pam. A woman after my own heart. So much nicer to make a cushion in your own colours than buying one. I love the green one. 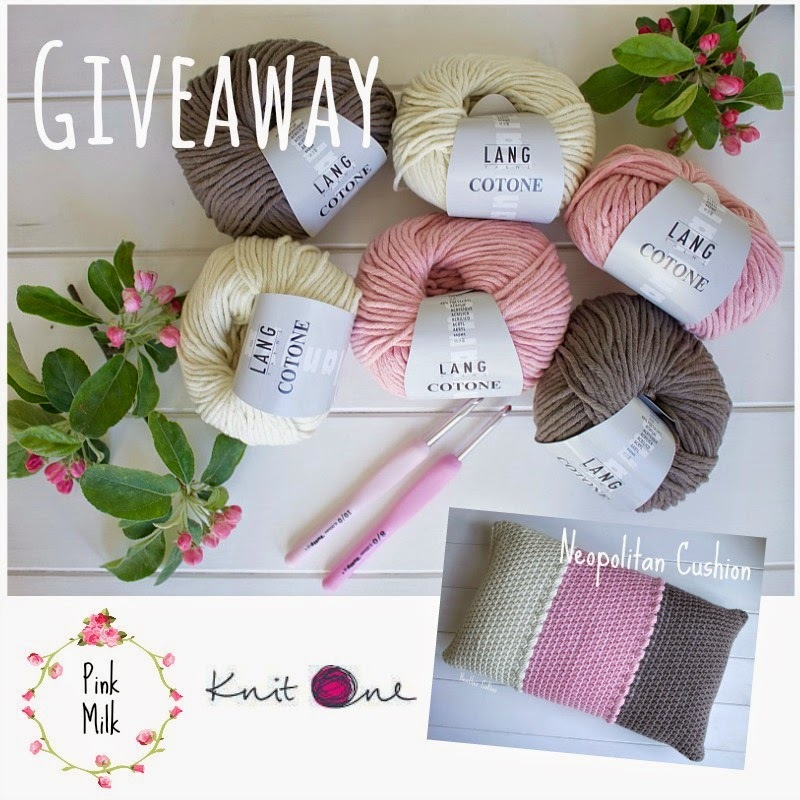 I've entered your giveaway too. Scrummy, scrummy, scrummy - and you se deserved that day trip to smugland ! One snag, I'm craving icecream now, the Neopolitan in a block my Mum used to buy when I was a kid, I'd forgotten all about it until I read this post! Oh they are lovely... and now I need to pop to yarn shop to buy more wool for a cushion cover. You know because I haven't any neopolitan colours in the right yarn ;) any excuse eh? Oh my just gorgeous in its simplicity. I love the green one. However the subtle colours of the Neapolitan are rather scrumptious. Hi Heather, I just wanted to let you know that the dream you had probably has meaning. Through out the bible God gave people dreams to help them or help others out, or specifically to reveal His plans to them. Im pretty sure this person represents something in your life right now that is popular or has the stage in your life but it is taking something from you when you participate in it. I feel God probably wants to help you so you won't be taken advantage of. Hope this encourages you.